1993 Name Your Own "Create a Cobra"
Name Your Own "Create a Cobra" was made available through a mail-in offer in 1993. He came in a sealed baggie with a gun and a figure stand. The figure re-used the T.A.R.G.A.T. body mold from 1989 and the Crimson Guard Immortal head mold from 1991. Collectors got to create their own Cobra persona; including name, specialties, weapons expertise, traits, abilities, and personality. Collectors filled out a form and returned it to Hasbro. Hasbro then sent collectors a custom file card (like the one below) with their figure. 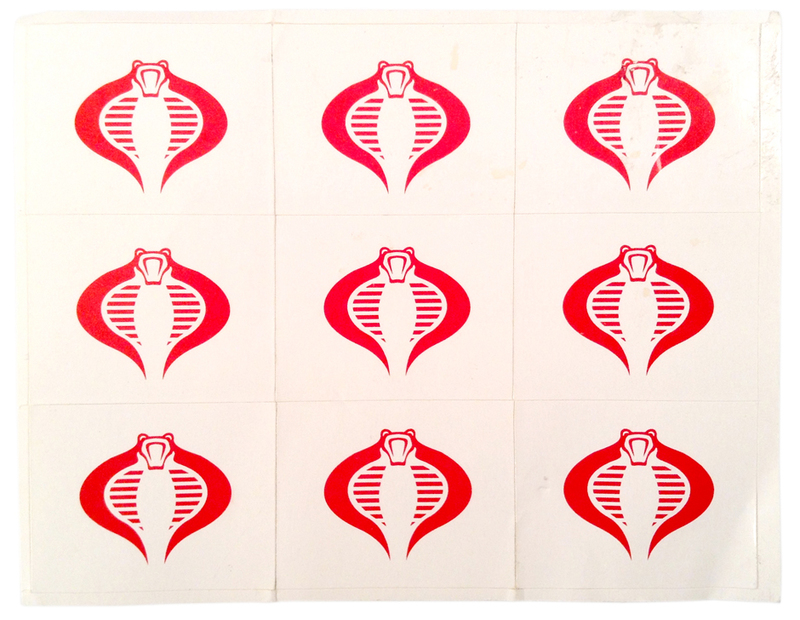 Name Your Own "Create a Cobra" also came with a sheet of nine Cobra stickers, so you could display your Cobra loyalty with pride.